Enhance your skills and get big results with all three of our power products. 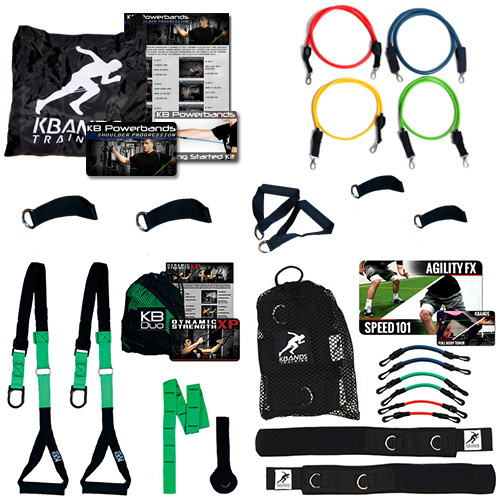 With the Advanced Training Kit you will receive Kbands, KB PowerBands and the KB Duo. Build strength, improve speed or cut body fat today with the Advanced Training Kit. Increase speed, explosiveness, and agility. Increasing Strength and Power starts with the KB Duo.